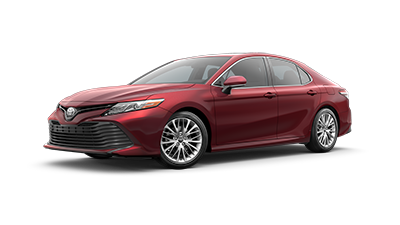 The 2019 Toyota Camry is the mid-sized car that will elevate your daily commute to the next level. 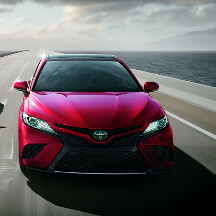 Toyota of Braintree in Braintree, MA, has a vast selection of Camry models to choose from in our new inventory. 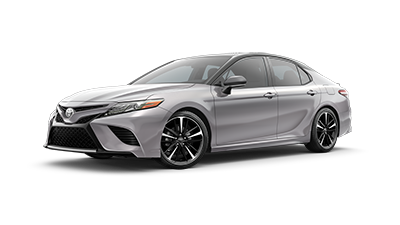 Observe the following model review crafted by our experts to help you decide if the Camry is the best fit for your lifestyle. 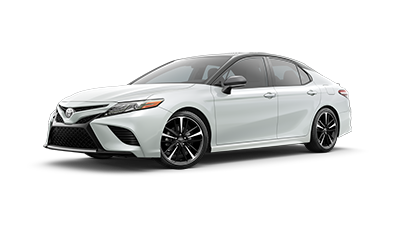 Don't hesitate to contact our team online or call (781) 848-9300 if you have any questions regarding the capabilities of the Camry. 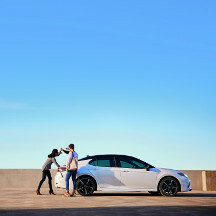 Up to 53 MPG- Travel anywhere you want with the 2019 Toyota Camry and its impressive fuel efficiency. Save time on the road and at the pump with this mid-sized car. Up to 301 HP- Elevate your daily drive to the next level with the 301 HP 3.5L DOHC V6. 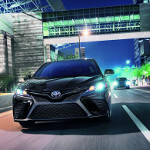 Never worry about lack of power again with the 2019 Toyota Camry. Seats five- The 2019 Toyota Camry will ultimately keep you and up to four passengers relaxed on any road trip, whether it be long or short. 15.1 cu.-ft. of cargo space- With the ability to hold your luggage or weekly groceries, the 2019 Toyota Camry has the ability to traverse any distance with all the cargo you want. 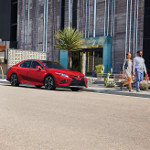 When it comes to interior design, the 2019 Toyota Camry does not disappoint with its smart key system and auto-dimming rearview mirror. Never leave home without the Entune™ Audio Plus system with nine JBL® Clari-Fi™ speakers and subwoofer. To further enhance your daily drive, the 2019 Toyota Camry also includes a 10-in. head-up display with customizable settings. 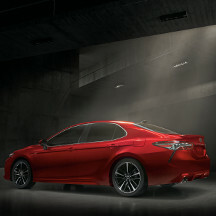 With driver and front passenger energy-absorbing crumple zones and the Star Safety System™, the 2019 Toyota Camry ensures the complete satisfaction of you and your passengers. 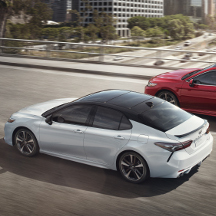 When it comes to protection, the 2019 Toyota Camry includes features like Toyota Safety Sense™ and a blind spot monitor with rear cross-traffic alert. 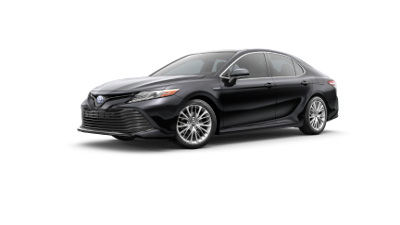 The 2019 Toyota Camry comes with five different engine options, which include: the 2.5L DOHC I4 with 203 HP, the 2.5L DOHC I4 with ECO, Normal, and Sport drive modes and 203 HP, the 2.5L DOHC I4 with 206 HP, the 3.5L DOHC V6 with 301 HP, and the 2.5L DOHC I4 hybrid with 176 HP. Toyota of Braintree in Braintree, MA, has multiple lease offers and incentives to assist you in keeping your budget with the 2019 Toyota Camry. Have peace of mind that this mid-sized car is affordable when you get behind the wheel. If you have any questions regarding the finance process, please direct your questions to our team by calling (781) 848-9300.